The app landscape has RADICALLY shifted in the last 12 months. The latest whitepaper teaches civic administrators and elected officials how Progressive Web App technology can provide smart cities with the ability to meet numerous community engagement needs. How can my community afford an app? What is the latest technology in apps? What is Progressive Web App (PWA) Technology and how can it help my community? How can a Progressive Web App help with compliance? How much time does it take to manage an app? Do we need a technologist to use an app for our community? Case Study! What successes have other communities had with Progressive Web Apps? This whitepaper will help you understand the different types of apps - why there is such a buzz around Progressive Web Apps - and how other governments and communities are using PWAs to better engage their residents! SNEAK PEEK OF WHAT'S INSIDE BELOW! Using a software program once involved installing that application (usually off of a CD or Disk) and then it would run off that computer. The maturation of the internet (specifically its stability) and the speed of hardware means that we now run most of our programs through our browsers and take it for granted. The same shift has been happening for mobile phones. The stability of cell coverage, access to the internet, and sophistication of phones has made Progressive Web Apps (PWAs) a viable reality. This means you don’t have to “install” an app on your phone to have it work. Big technology giants including Google, Microsoft, Opera, and Mozilla have all stated that Progressive Web Apps (not Native) are the future. Even Apple has made steps towards this direction and web apps work on every type of hardware: computer, laptop, and all mobile devices. Britain’s Government Digital Service banned government built-native apps to serve their constituents back in 2012 due to the cost associated with the building of native apps and the ongoing costs of maintenance. This was before Progressive Web App technology was an option. The result? They estimate they saved US$8.2bn over four years. Progressive Web App technology can deliver on the community engagement services you need for a fraction of the cost. PWA Technology is not the same as Native Apps nor are they simply a website. The secret is in something called the Service Worker which runs in the background. The more your users interact with the app the more of the app is made available even when there is no internet connection. It “progressively” becomes an app as it earns the trust of your users. The full whitepaper also explains why Progressive Web Apps can help you meet the W3C Accessibility Standards and also how the right Progressive Web App can further help with election season compliance for your town. FILL OUT THE FORM TO RECEIVE YOUR FREE WHITEPAPER NOW! 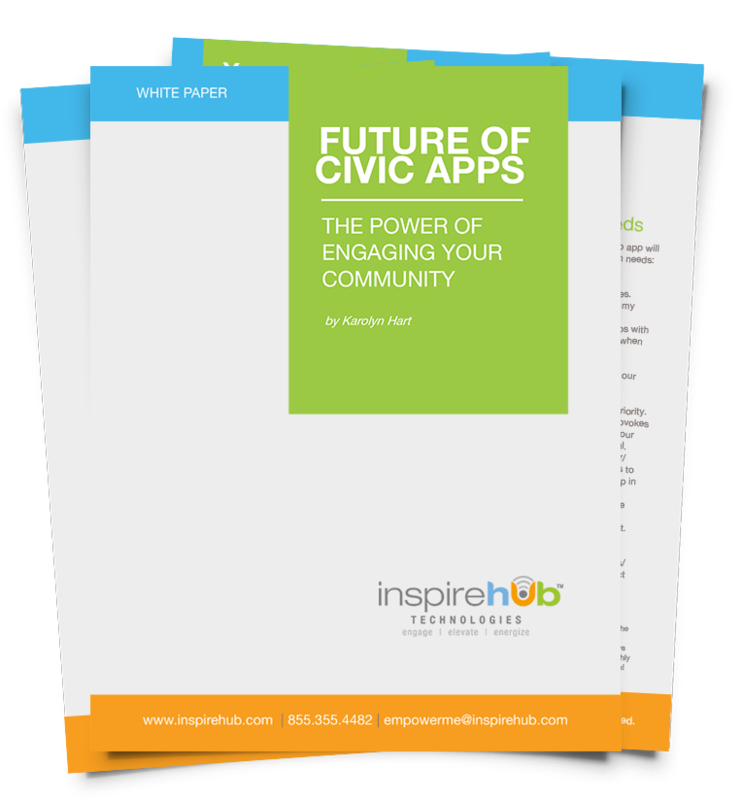 Download the FREE Future of Civic Apps Whitepaper!